Before getting into the business, I was actually just dabbling in decorating and home renovations. With over a decade into it and doing many renovations, painting and decorating of my own and for others, I decided to take up carpentry and get my license. Before I knew it, I was booking multiple clients, and I’m happy to say I haven't looked back. We’ve been in business since 2013, and over the past couple of years, I’ve noticed that more baby boomers actually want to stay in their home. They update it to make it relevant to them for the next stage of their lives. Also, a lot of my client base is single working women who don’t have time to tackle home renovations on their own, so they would rather hire the help they require to meet their needs. Having a client trust my vision to make their home more beautiful and functional is probably the most rewarding aspect of my line of work. The most enjoyable part is having the freedom to take on different projects that challenge my creativity. When you have good and honest relationships with your clients, contractors, and local suppliers, you can challenge yourself and the team you work with, to give it your all and push it one step further each time. My business is a success because of these relationships. The cherry on top is receiving a Houzz award for customer service and client reviews. That has definitely has been one of the most fulfilling moments ever. Personally, I believe what sets me apart from my competitors is that I’m devoted to my clients’ needs, respectful to the trades I work with and I’m honest to myself about my capabilities. But overall, my mantra is to bring function and beauty into my clients’ homes. It is possible to have all that beauty with an innate sense of function, and that’s what I strive to give with each project. When I am not at work, I love traveling abroad, going to the cottage and enjoying quality time with my family. If you or someone you know could benefit from our expertise in home, kitchen, bathroom and basement renovations in Sudbury, ON, I invite you to get in touch. 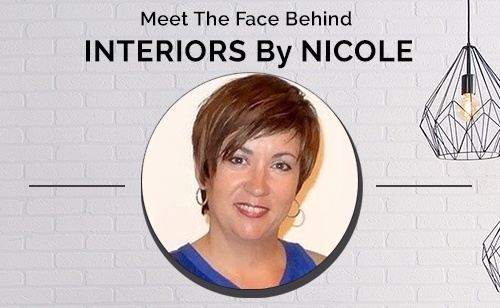 Please visit our website at www.interiorsbynicole.ca.